Florida Statute 316.062 states that the driver of a vehicle involved in a crash resulting in the injury or death of any person must immediately stop the vehicle at the scene of the crash, or as close as possible, and must remain at the scene of the crash. Stopping the automobile must be made without obstructing other traffic more than is necessary, and if a damaged automobile is blocking traffic, the obligation of the driver is to make every reasonable effort to move it or have it moved so as not to obstruct the regular flow of traffic. A violation of this statute is considered a noncriminal traffic infraction, however if there is a personal injury or willful violation of the statutory requirements, it constitutes a third degree felony; and, if the crash results in a death or a willful violation of the statutory requirements, it constitutes a first degree felony, which carries a mandatory minimum term of imprisonment of two years. 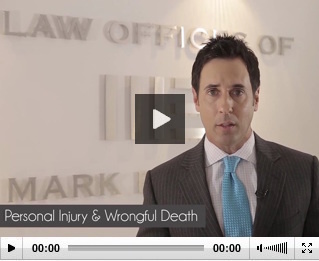 If you or a loved one has been injured in the state of Florida from a vehicle accident, an attorney at the Law Offices of Mark Eiglarsh may be able to help you file a lawsuit to recover compensation for your losses. The Law Offices of Mark Eiglarsh have successfully handled personal injury claims against large insurance carriers. Don’t hesitate and call our offices for a free consultation. If you or a loved one has been injured in the state of Florida from a truck accident, the Law Offices of Mark Eiglarsh may be able to help you file a lawsuit to recover compensation for your losses. Remember, you are filing a claim against the trucking company, not the driver. The Law Offices of Mark Eiglarsh is well versed in this subject matter. Give us a call for a free consultation today. If you or a loved one has been injured in a motorcycle accident in the state of Florida, call the Law Offices of Mark Eiglarsh to potentially recover compensation for your losses. The course of collecting damages from the party at-fault for your accident can be complex; however, the Law Offices of Mark Eiglarsh have the experience needed to navigate these types of claims. It is prudent of you to call our offices, day or night, to begin your defense. If you or a loved one has been injured in the state of Florida from a bicycle accident, the Law Offices of Mark Eiglarsh may be able to help you file a lawsuit to recover compensation for your losses. Florida Statute 316.003 defines bicycles as a vehicle with two tandem wheels propelled solely by human control, and all motorized bicycle propelled by a combination of human power and an electric helper motor capable of propelling the vehicle at a speed of not more than 20 miles per hour on level ground upon which any person may ride, and including any device generally recognized as a bicycle though equipped with two front or two rear wheels. If you or your loved one is injured due to a pedestrian related accident, the Law Offices of Mark Eiglarsh will be at your side. Call us and see how we can put our legal expertise to work for you. Boating is a great way to enjoy a relaxing afternoon in South Florida. One of the most beloved traditions is the Columbus Day regatta in Elliot Key. However, where there’s fun there are also dangers and we all have the responsibility of looking out for others that use the Florida waterways such as defective equipment on a boat, driving while intoxicated, negligence, and property damages. If you or a loved one is seriously injured due to a boating accident, you might be entitled to compensation for possible lost wages, pain and suffering, and medical bills. Call the Law Offices of Mark Eiglarsg for a free consultation to learn about your rights. “Statistically speaking, of course, it's still the safest way to travel,” said Superman, played by the late/great Christopher Reeve, to a dumbstruck Lois Lane after being saved form a helicopter crash in the classic film, “Superman the Movie.” It is accurate to say that aircraft travel is among the safest modes of transportation, however disastrous aviation accidents still do occur. The Law Offices of Mark Eiglarsh knows that there are no such things as minor aircraft crash landings or collisions. If you or a loved one has been in an aircraft disaster, call out offices. A person who is in possession of property or premises such as a store is responsible for injuries suffered by individuals who are present on the premises. In short, premises liability may arise by the condition of floors, where the floor is either negligently maintained or poorly constructed. To illustrate, if the floor is slippery at a local Publix supermarket, due to a spill, which has been negligently ignored by staff, give rise to a premises liability case. If you or your love one has been injured or charged with premises liability, do not hesitate to contact the Law Offices of Mark Eiglarsh immediately! A slip and fall is a very common type of premises liability. For someone to recover for injuries due to a slip-and-fall, the victim must show that the owner of the premises had ACTUAL or CONSTRUCTIVE knowledge of a dangerous condition. If you or your loved one has been injured due to a slip and fall, call the experts at the Law Offices of Mark Eiglarsh. Floridians are privileged in living in a state that offers the best amusement parks in the nation such as Walt Disney World, Island of Adventures, and Bush Gardens. The owners and operators of the park owe a duty of reasonable care and diligence to protect park goers from injuries. What amounts to reasonable care depends upon the conditions of the particular case and the manner of operation of the ride or device. Florida courts have established the general rule that a proprietor of a place of public entertainment owes his invitee a duty to use due care to maintain his premises in a reasonably safe condition commensurate with the activities conducted thereon. In addition, the proprietor is charged with a continuous duty to look after the safety of his patrons. However, the proprietor is not an insurer of the safety of his customers. If you or a love one has been injured at an amusement park, call The Law Offices of Mark Eiglarsh for a free consultation. Dealing with the loss of a loved one is one of the most emotional and sensitive times of an individual’s life, and as impossible as it sounds cemetery fraud does occur. As such, the funeral industry is heavily regulated by the State of Florida. The Florida Funeral, Cemetery, and Consumer Services Act governs, among other things, the practices of funeral directing and embalming and related services and cremation, crematories, and direct disposition. If you have been a victim of cemetery fraud or are accused of this crime, you should speak with an experienced Miami criminal defense attorney at your earliest convenience to learn about your rights and the defenses that may be available to you. Call the Law Offices of Mark Eiglarsh to learn more about your situation. Negligence, strict liability, or breach of warranty of fitness are generally the main bases for product liability claims. Florida courts impose different standards in assessing liability under negligence and strict products liability. Strict liability is defined as negligence as a matter of law, the consequence of which is to remove the burden from the user of proving specific acts of negligence. It is unnecessary in a strict liability action to show that the manufacturer has been negligent in any way; the plaintiff is not required to prove that the manufacturer or retailer was negligent in the preparation or distribution of the product. The manufacturer or retailer may be found liable even if he or she was not negligent. The Law Offices of Mark Eiglarsh is well versed in consumer protection against defective products. If you or a love one sustains an injury due to a faulty product, you might be entitled to compensation. Call the Law Offices of Mark Eiglarsh to have your claim reviewed at no cost to you. If your treatment from a healthcare provider in Florida falls below the accepted standard of care in the medical community, then it is medical malpractice. If a healthcare professional in Florida has injured you or a loved one, call the Law Offices of Mark Eiglarsh where you may be able to recover compensation for medical bills, lost wages, and pain and suffering. The Jones Act covers any seaman who suffers personal injury or dies as a result of injuries sustained in the course of employment. To illustrate, an employer's duty to maintain a safe workplace for a masseuse aboard a cruise ship did not extend to the ship's deck, thus a cruise line's negligence in maintaining the deck could not be implicated to the employer in a Jones Act action brought by the masseuse who slipped and fell on a slippery deck. If you or a loved one was injured on a cruise ship, it is prudent of you to call the Law Offices of Mark Eiglarsh. The Law Offices of Mark Eiglarsh handles both personal injuries and maritime lawsuits. Do not hesitate to contact our firm today. Nothing can ever replace the loss of a loved one. Especially during the grieving process, most people feel uncomfortable and even unable to discuss exploring legal options that exist. One action that seems to assist many who are suffering the loss of a loved one is a wrongful death claim. For many, holding those accountable who caused the death of a love one is imperative. With a wrongful death claim, the next of kin seeks compensation from those whose negligence caused the death. The recovery can assist with pain and suffering, lost wages, funeral expenses, burial costs, and medical expenses. Allow the Law Offices of Mark Eiglarsh to assist you during this challenging time. The insurance companies are already working on their defense. Time is of the essence. These cases are handled on a contingency fee basis. That means you are not charged any fee unless we recover a financial settlement or secure a verdict for you. Allow us to assist you. Our firm will ensure that you are in the right hands if it's a matter that we do not handle. Allow us to refer you to the best attorney for your specific matter.